If you have concerns about your hearing we recommend you have a full hearing assessment. Hearing can be tested at any age from newborns to the elderly. At the age of 50 everyone should have a baseline hearing test with follow up tests every 5 years. Hearing is essential to communication. A quarter of all 65-year-olds have hearing loss. In the population over 75 years of age, incidence of hearing loss increases to 83%. We recommend all seniors have their hearing tested. 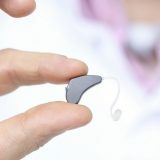 It is much easier to adjust to hearing aids if the process is started earlier. But no one is too old to hear better! Do you find it difficult to tell which direction sound is coming from? For most children, auditory abilities develop with experience and practice. Tinnitus Management is one of the service we provide. We can help most patients. We provide home visits for most of our hearing aid related services. Please contact us for applicable fees. Evening, Saturday and Home Visit appointments are available upon request. 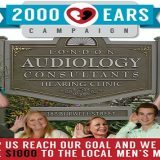 London Audiology Consultants is an independent Hearing Health Care clinic established in 1985 by co-owners and audiologists Margaret Brac and Catherine Moore.